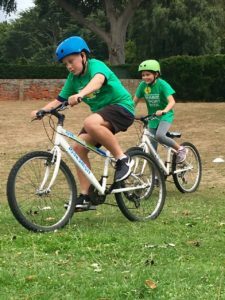 Aldeburgh Sports Week kicked off on July 30 – five days of organised sporting events for young people between 7 and 12 years old. On the final day, children between four and six years old also enjoyed a Junior Sports Day. And then, in sizzling temperatures, everyone tucked into a fantastic barbecue. 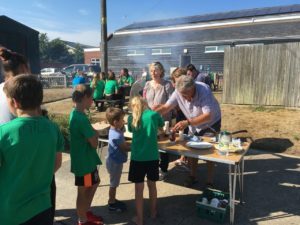 Throughout the week, activities, included street dance, boules, cycling, tennis and archery, sailing at Slaughden Sailing Club, football, music theatre dance, circus-theme dance and Mint Fitness fun and games, darts, bowls, golf at Aldeburgh Golf Club, aerobics, dance with props, rounders,street dance, tag rugby and Mint Fitness circuits. 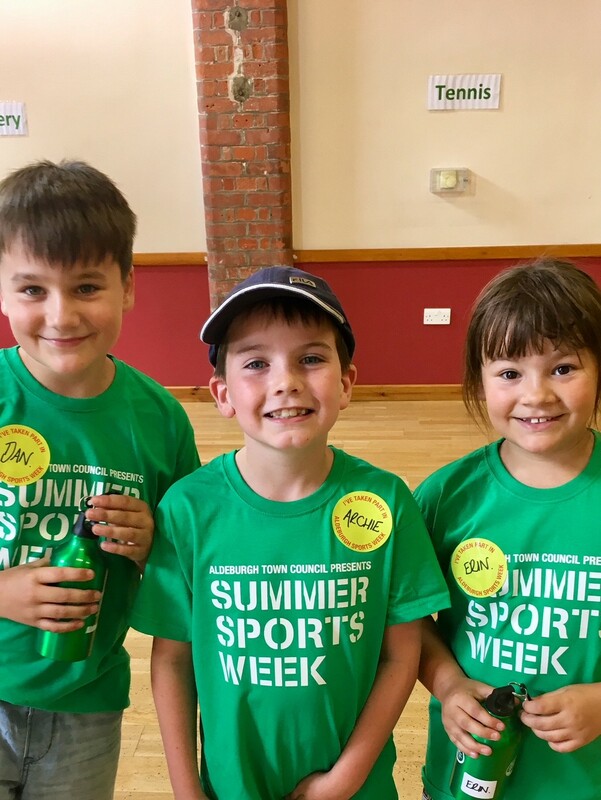 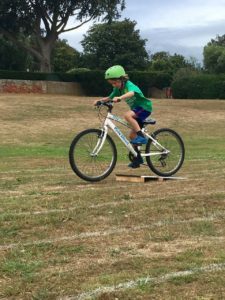 Cllr Sally Jones, organiser of the Sports Week activities, said the event had been a huge success and thanked children, parents, sponsors and volunteers for their support. Sports Week 2018 was sponsored by Aldeburgh Community and Sports Centre, Aldeburgh Fish and Chip Shop, Aldeburgh Market, Baggotts Newsagents, the Co-op, Geoff Platt, the Latymer Trust, Salter and King, Suffolk Coastal District Council, Tesco, Suffolk Secrets, EDF and the Aldeburgh Triathlon. 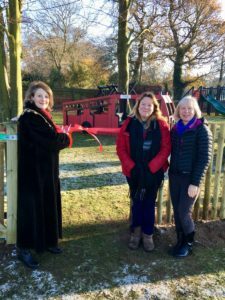 The play area at King’s Field was officially opened by the Mayor, Councillor Jocelyn Bond on December 12. 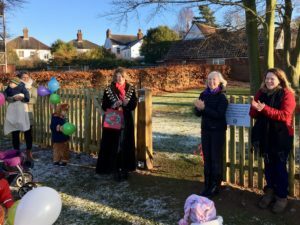 Accompanying her were District Councillor T.J. Haworth-Culf and Aldeburgh Town Councillor Sally Jones, who was responsible for delivering the project. Earlier in the year, Councillors took the bold decision to scrap the old, dated equipment and build a playground fit for the future. 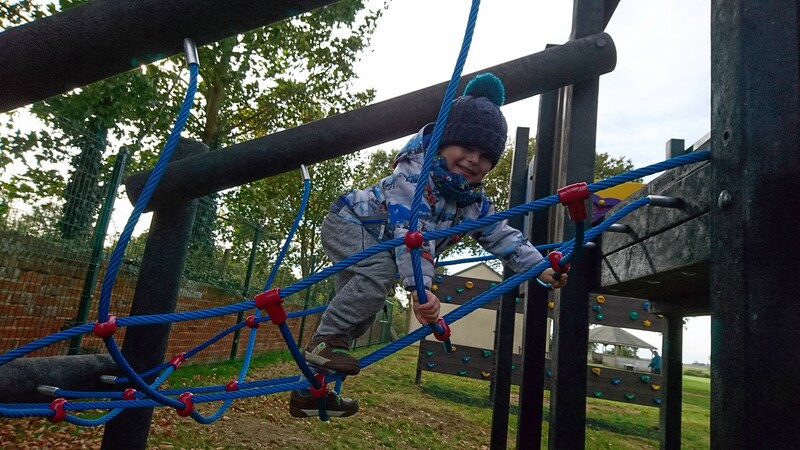 The Primary School and a local playgroup were asked what they wanted to see there and based on their input, the Town Council drew up plans and commissioned suppliers to build the equipment. 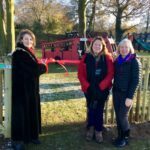 The specification was simple – everything had to be constructed from recycled materials to reduce repair costs and the equipment had to be eye-catching and relevant to the town. The play area is next to the Fire Station so a fire engine was an obvious choice and, so too, was a boat, to reflect Aldeburgh’s seafaring heritage. Realise Futures, a local firm employing disadvantaged and disabled people, made a superb job of the boat, the fire engine and the picnic area. 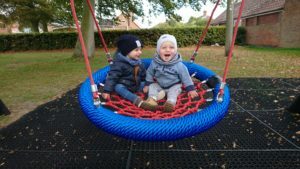 And Playquest, a specialist playground equipment manufacturer, supplied the Activity Unit. 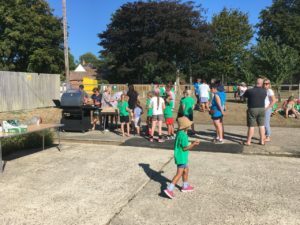 The Town Council felt it was essential to provide a safe area for young people to enjoy themselves and the picnic spot was an important meeting place for parents and families. The play area is situated on Jubilee Walk, which is used by dozens of parents and children on their way to and from the Primary School. 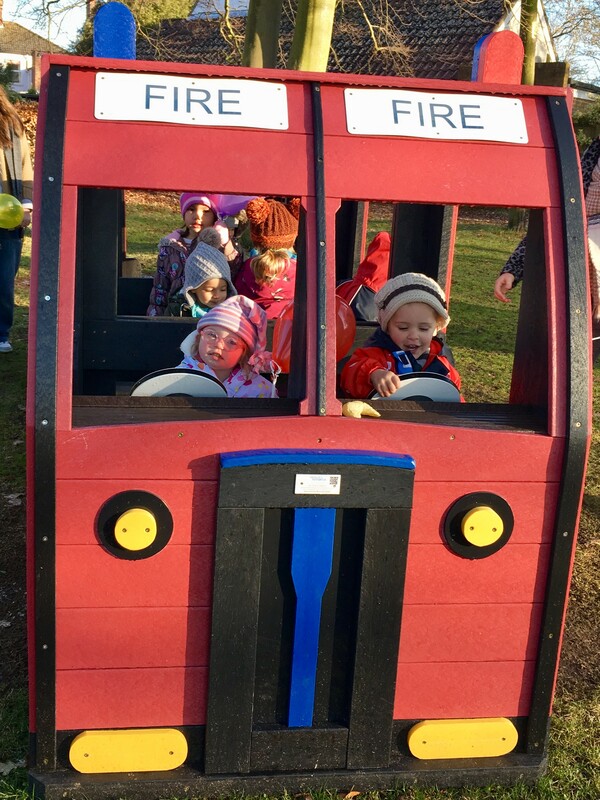 An ideal spot for young people to let off steam! 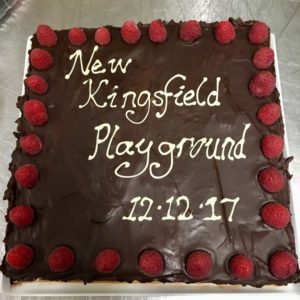 King’s Field has become the sports and recreational hub of the town. 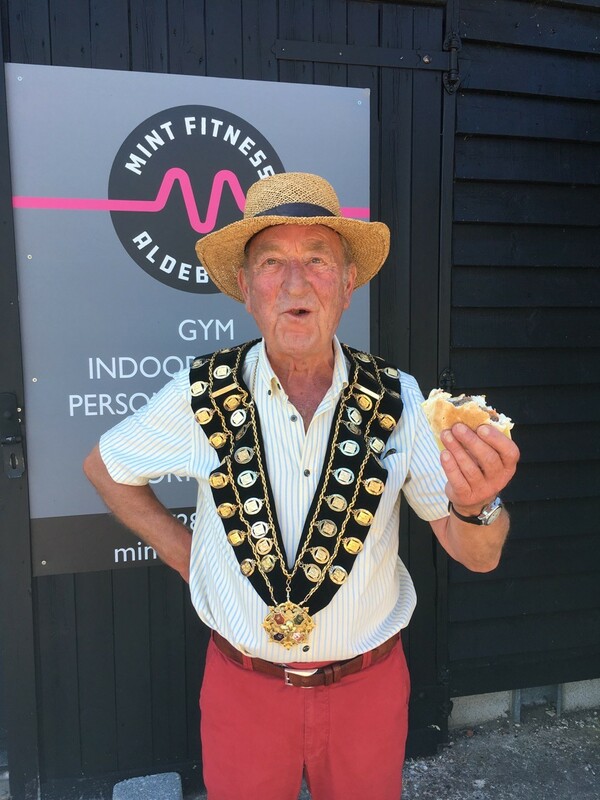 It boasts an outdoor gym for older children and adults, a vast grass area for every kind of ball game, a venue for the town’s annual Sports Week, the home of Aldeburgh and Thorpeness Rugby Club and the Community Centre and a privately-run fitness provider. 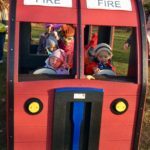 Aldeburgh Town Council contributed a significant sum towards the cost of the play area with additional sponsorship from Suffolk Coastal District Council’s Enabling Communities Fund. 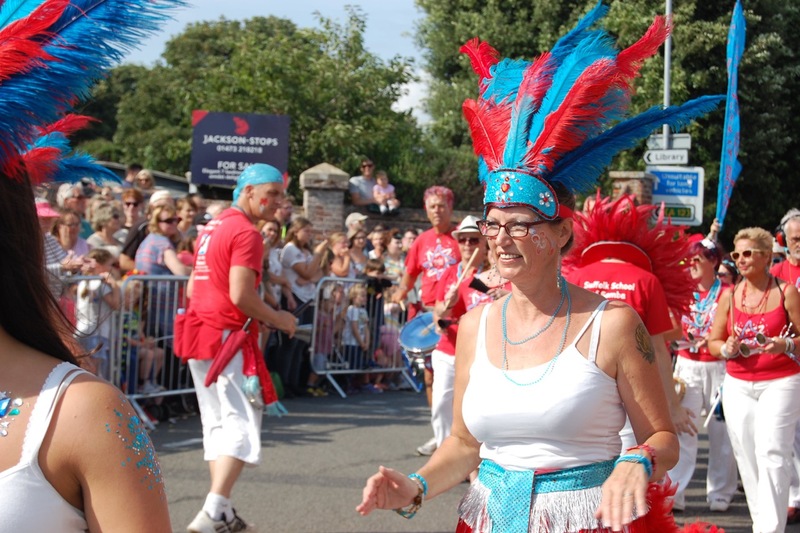 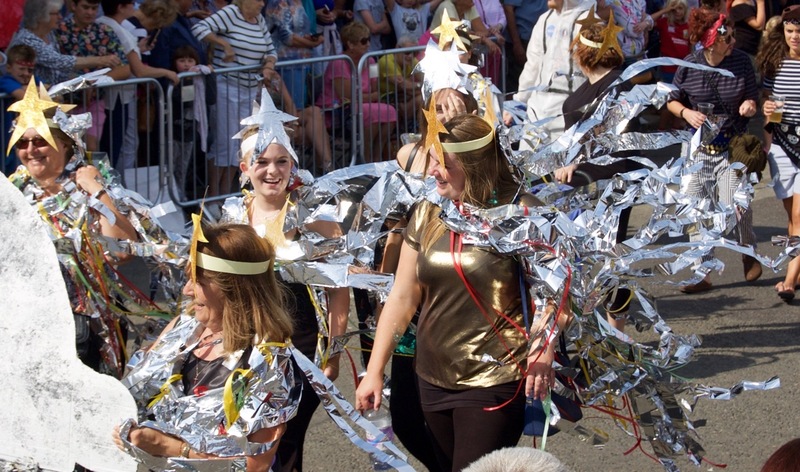 Thousands of people turned out in force on Monday August 20 to celebrate Aldeburgh Carnival. 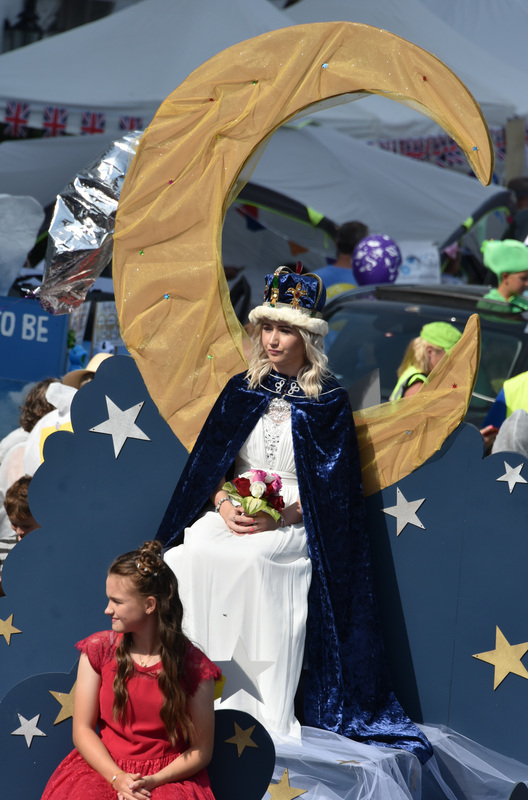 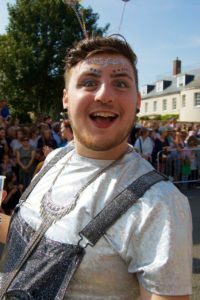 Based on a theme of Fly Me to the Moon, dozens of fabulously decorated floats wound their way from the White Lion Hotel and down the High Street following the crowning of Carnival Queen, Taylor-Paige Briggs. 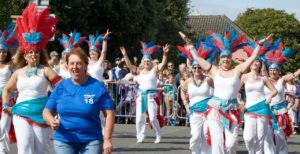 Full details of the Carnival can be found by clicking on to the Carnival post on the Home Page of our website. 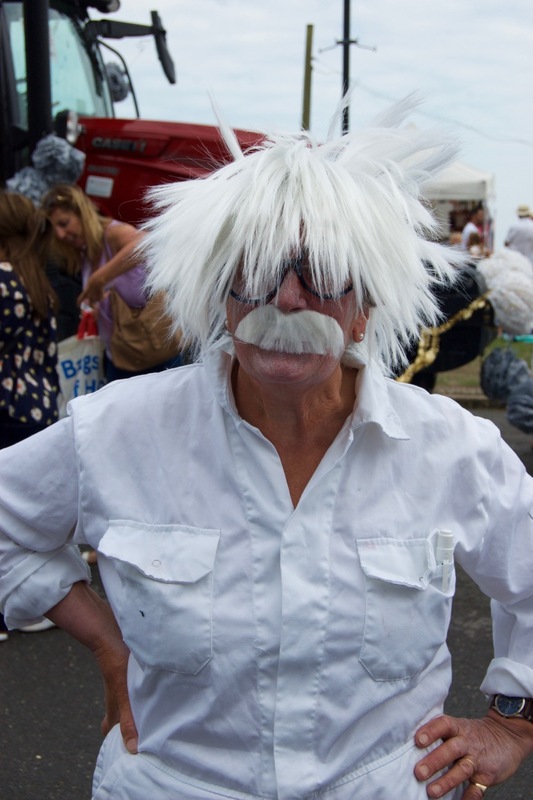 But enjoy a collection of pictures from Aldeburgh’s big day…. Councillor John Digby is the new Mayor of Aldeburgh. 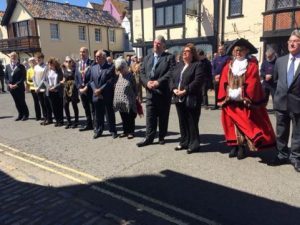 Crowds gathered outside the town’s Moot Hall on May 20th to celebrate the occasion with Cllr Digby and his wife, Jenny. 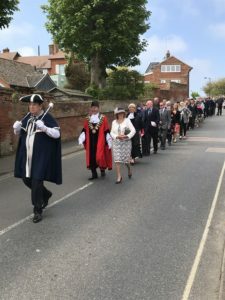 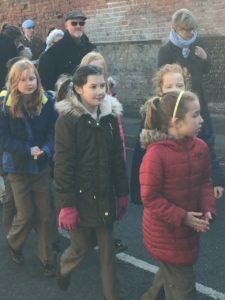 The Civic Procession to the Parish Church of St Peter and St Paul was joined by County, District and Town Councillors, representatives from neighbouring parishes and towns and emergency and voluntary organisations in Aldeburgh. 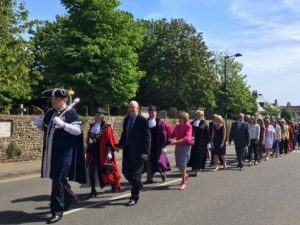 Following the Service, led by the vicar, the Rev. 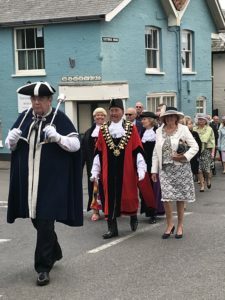 Mark Lowther, the procession gathered outside the Moot Hall to hear Cllr Digby speak of his enormous pride at becoming Mayor for the third time. 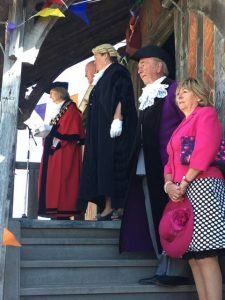 He thanked County, District and Town Councillors and the Town Clerk and her staff for their combined efforts on behalf of Aldeburgh. 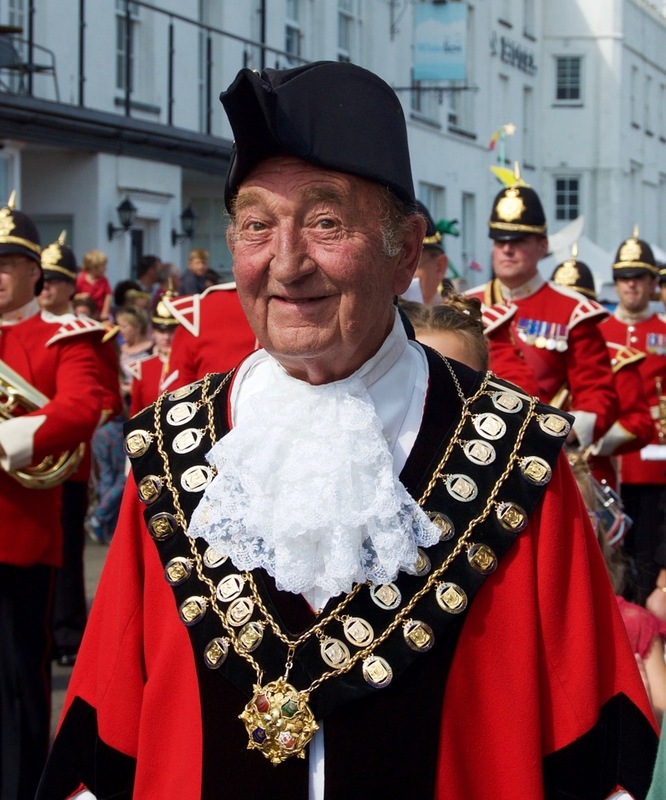 John was born in Ipswich and educated at Woodbridge School. 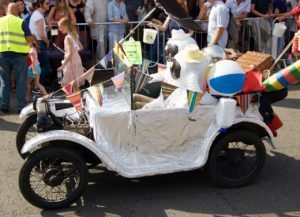 He spent four years as an engineering apprentice during the 1960s at the Austin Motor Co. in Longbridge, Birmingham. 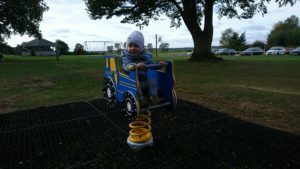 He is a Licensed Automobile Engineer and a Fellow of the Institute of the Motor Industry. 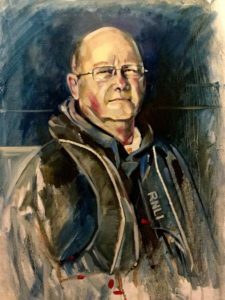 John was MD of Fairhead & Sawyer, the Main Rover Dealership in Woodbridge, for 30 years and moved to Aldeburgh in 1998. 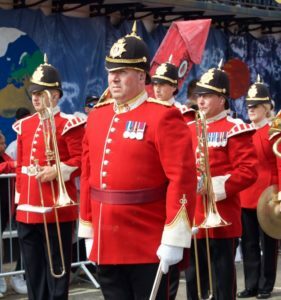 John has two grown up children and four grandchildren and is married to Jenny. 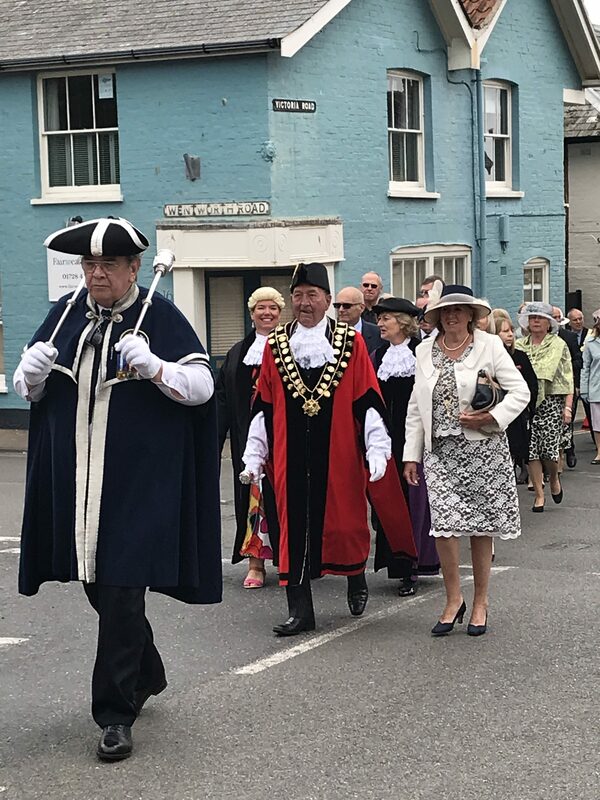 And for those people who don’t know me, let me introduce myself…..I’m Cllr John Digby, the Mayor of Aldeburgh for the forthcoming year. 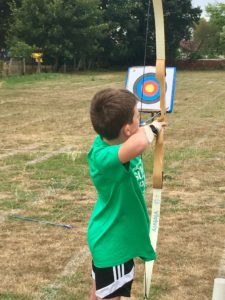 And, yes, I have done the job a couple of times before…so I should be getting the hang of it by now! Thank you all for turning out in force to celebrate Mayor’s Sunday. 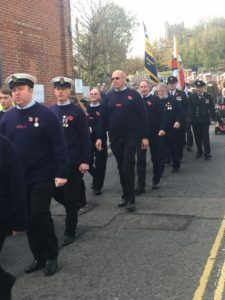 I’d like to welcome representatives from neighbouring towns and parishes together with those wonderful organisations who do such a vital job for the town – particularly the Lifeboat, the Fire Service and the Coastguard. 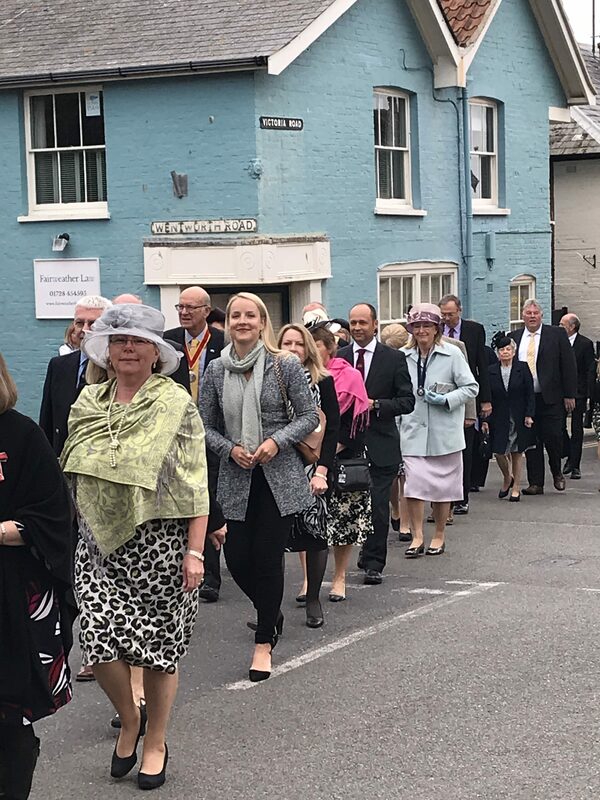 Aldeburgh’s pride and joy, 653 Squadron from Wattisham, normally turn out in force for occasions like this, but military commitments prevent them from attending today. 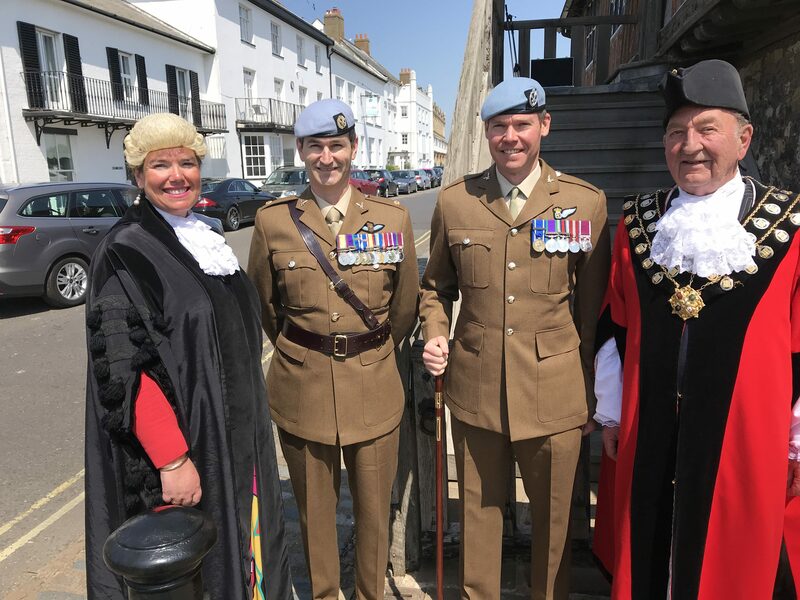 We welcome their new Officer Commanding Murray Nicol and send best wishes to every member of the regiment, wherever they are serving. 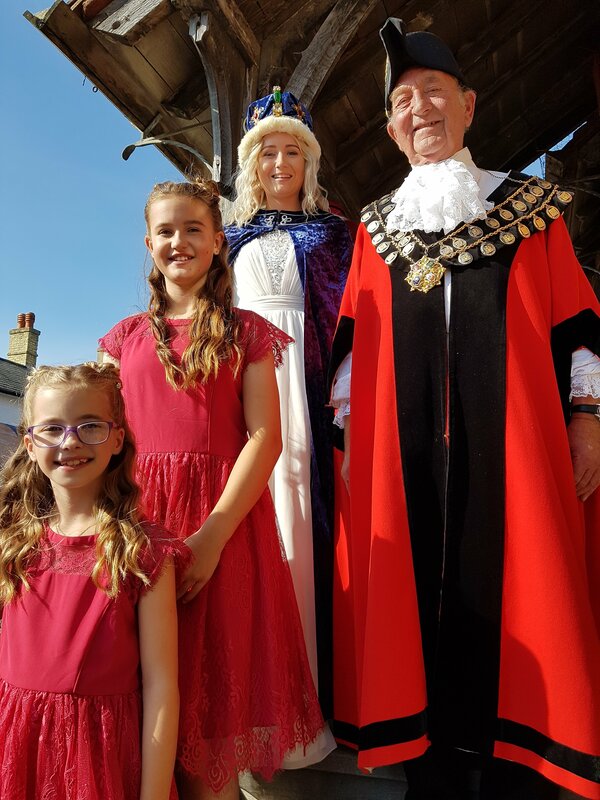 It’s a great honour to represent this beautiful and historic town. 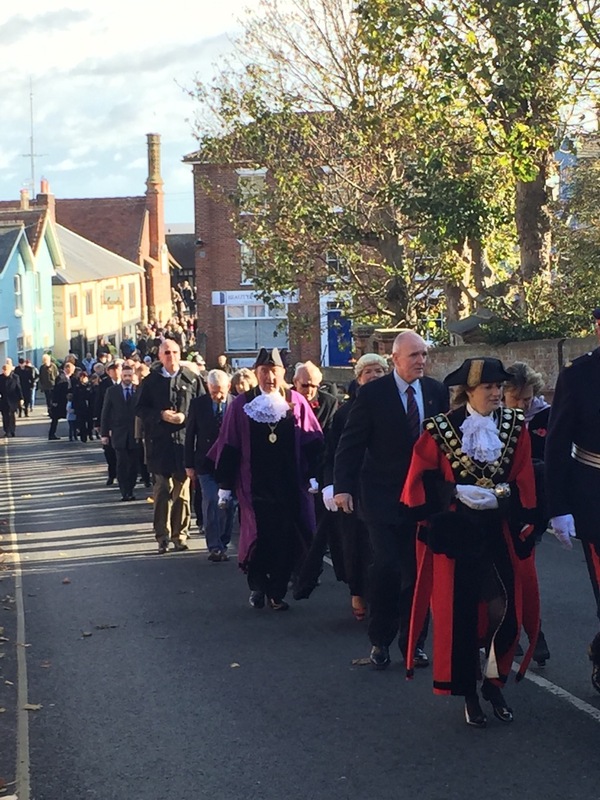 Standing on the steps of this magnificent building, I feel a huge sense of pride in what Aldeburgh achieves. 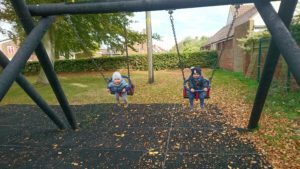 But there’s one thing I do know……. 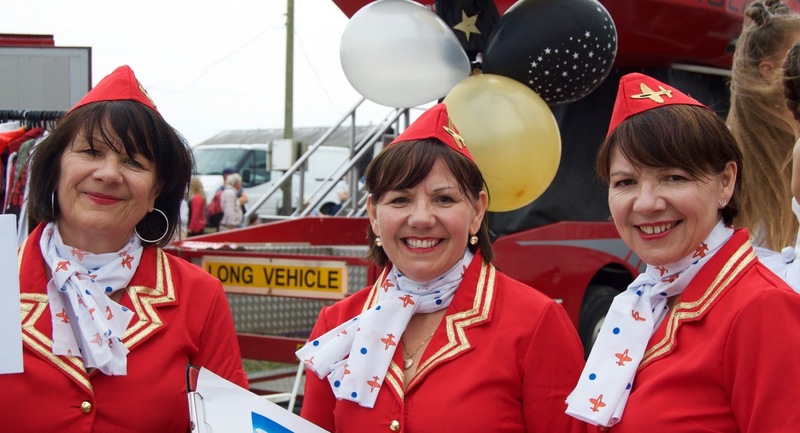 We always punch above our weight! 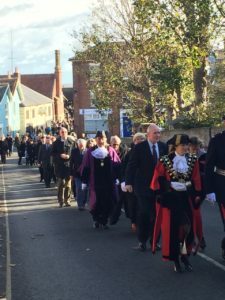 That’s in no small measure down to the efforts of the Town Councillors, the Town Clerk and her staff. 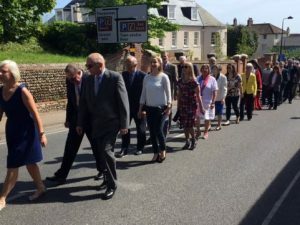 Believe me, that is a very impressive and effective team which works hard to make Aldeburgh special. There’s much to look forward to this year – the return of Music-by-the-Sea in June (not quite near the sea, but at King’s Field) and all the old favourites such as our award-winning Carnival, the hugely-successful Sports Week at the end of July, the Aldeburgh Festival, the Summer Theatre, the return of the HighTide Theatre group and Bonfire Night to round off the year. 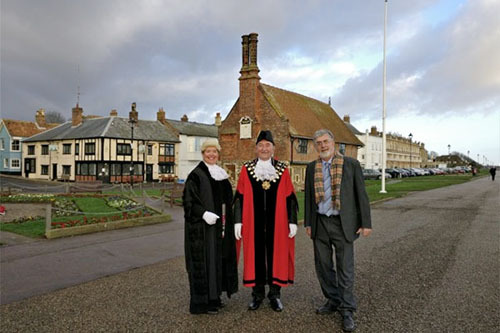 Soon we will find out if Aldeburgh Museum’s bid for Heritage Lottery Funds has been successful. If it is, the Moot Hall and the Museum will be well-and-truly brought into the 21st Century. 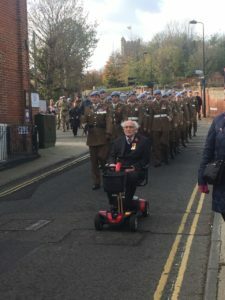 I’ll finish by saying a few Thank Yous. 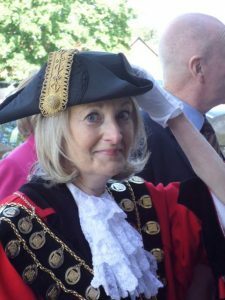 To the outgoing Mayor Cllr Jocelyn Bond, who has agreed to be my deputy for the next year. 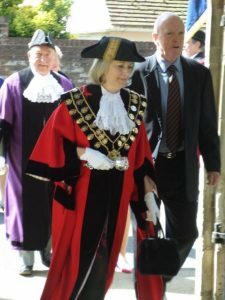 I felt it was vital her authoritative voice on many important matters continued to be heard. 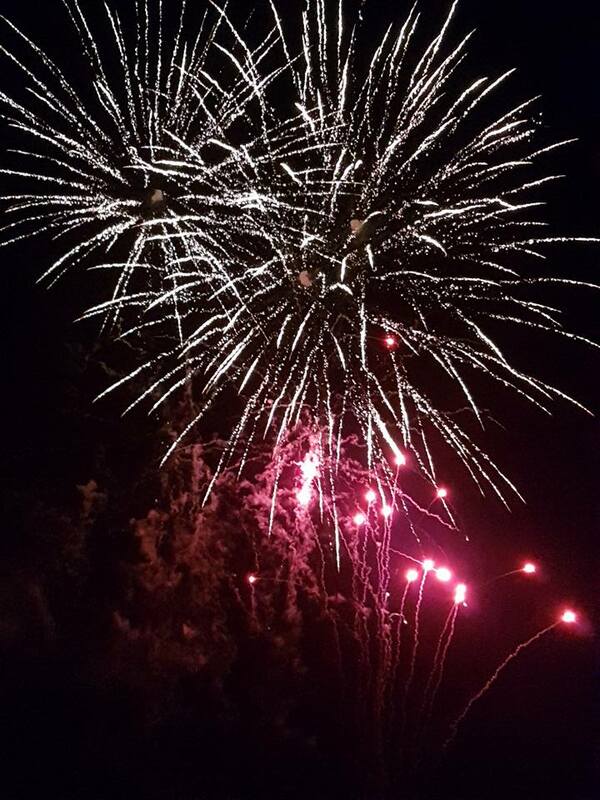 To the County, District and Town Councillors who work hard to keep the town running smoothly. To our Town Clerk Ruth and her staff. 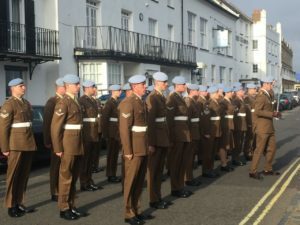 Their workload seems to increase daily but they deal with all manner of problems with diplomacy, enthusiasm and great skill. 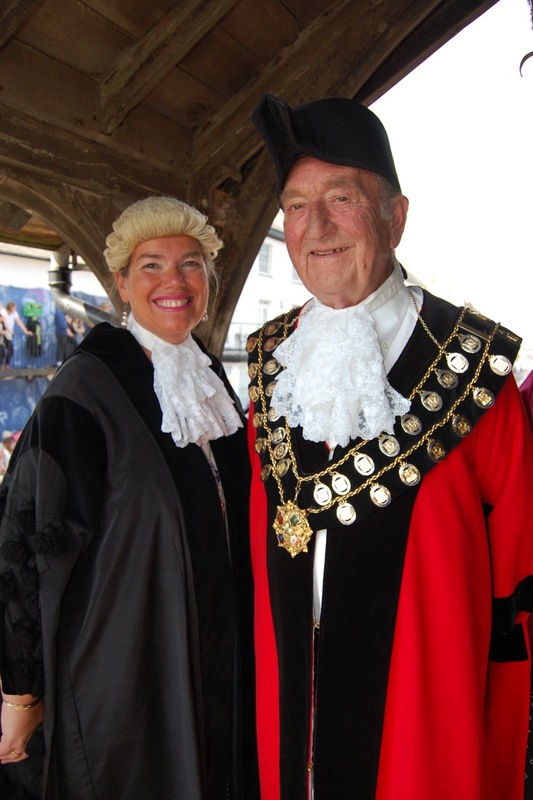 And lastly to my wife Jenny, who has been by my side on many civic occasions. The role of Mayor wouldn’t be half as much fun without her support, advice and humour. 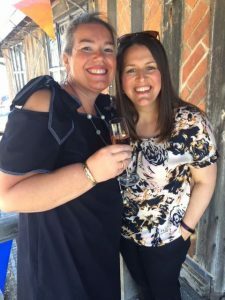 We’re pleased as punch to be crowned Norfolk & Suffolk Tourism Awards winner for 2018, beating 29 other entrants. 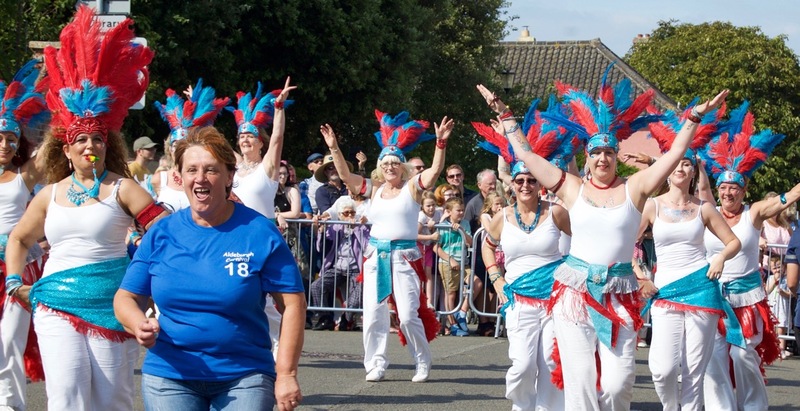 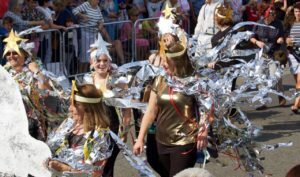 Aldeburgh Carnival is run entirely by volunteers, and we try to do the community proud as well as entertain and dazzle. 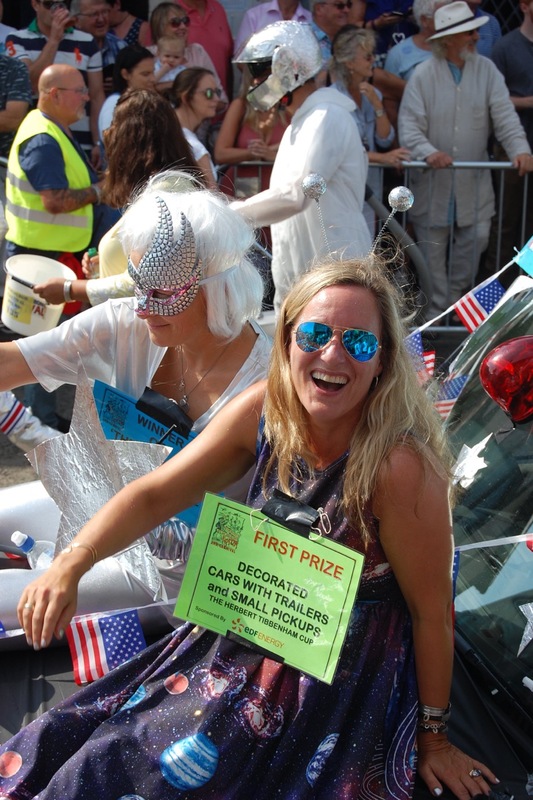 The Committee are delighted to have won this, not just for Aldeburgh, but for all those come along and enjoy Carnival. 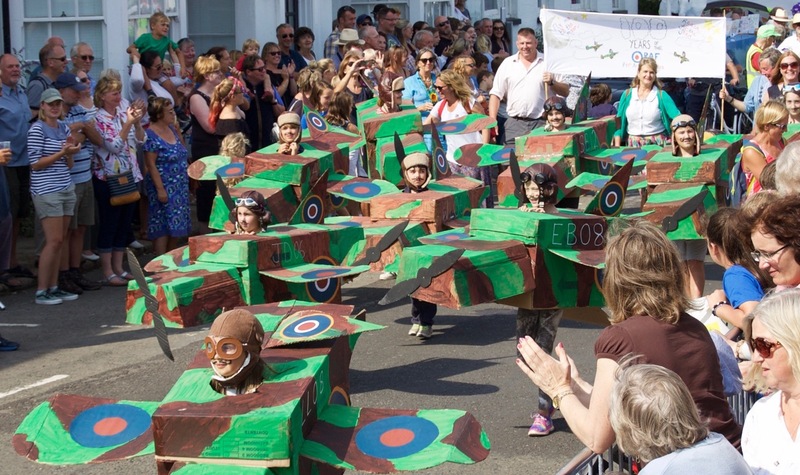 Come and see us this year for three days of award-winning fun for all the family. 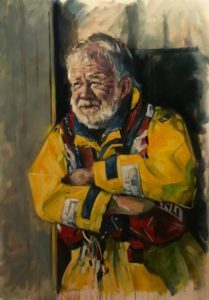 Aldeburgh artist David Gillingwater, a Lifeboat volunteer, wanted to create a lasting legacy of his fellow crew members. 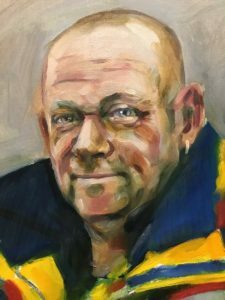 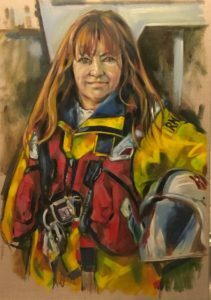 Hours of painstaking work have gone into the portraits of the Aldeburgh Lifeboat team and soon they will be on display in the town at a unique exhibition. 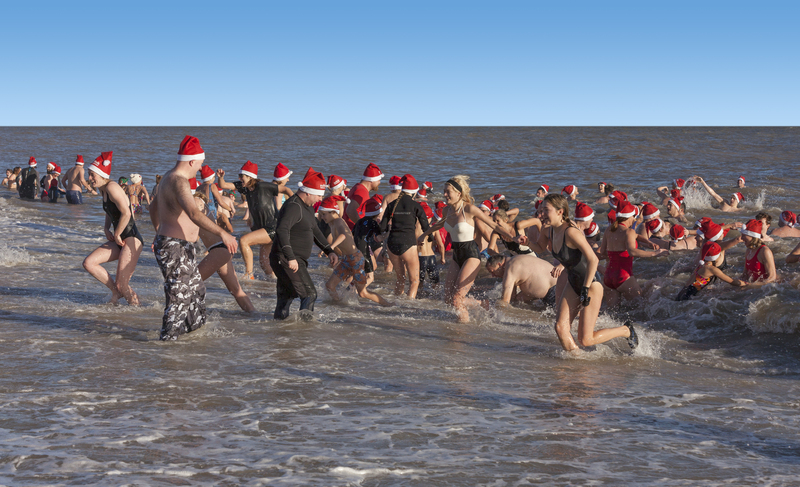 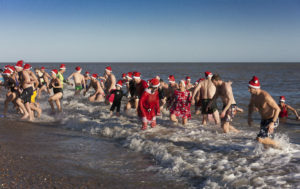 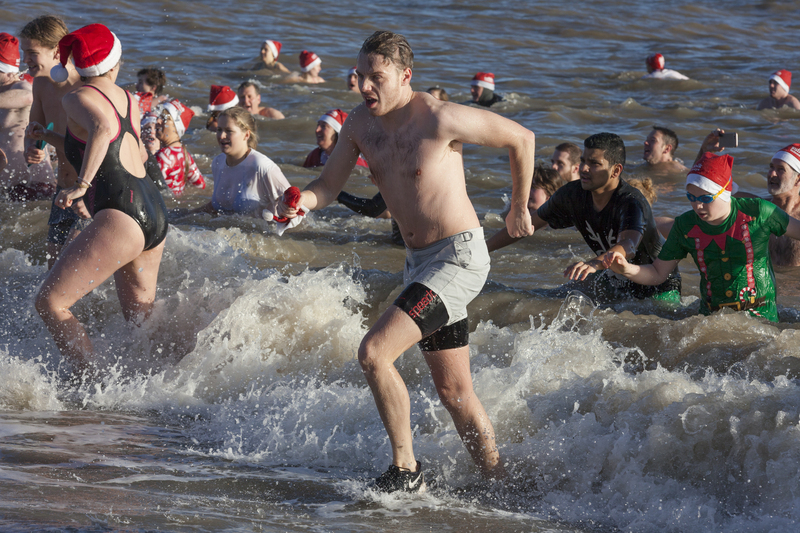 More than 150 swimmers – cheered on by hundreds of well-wishers on the beach – braved the winter weather to plunge into the sea for the Annual Boxing Day Swim in Aldeburgh. 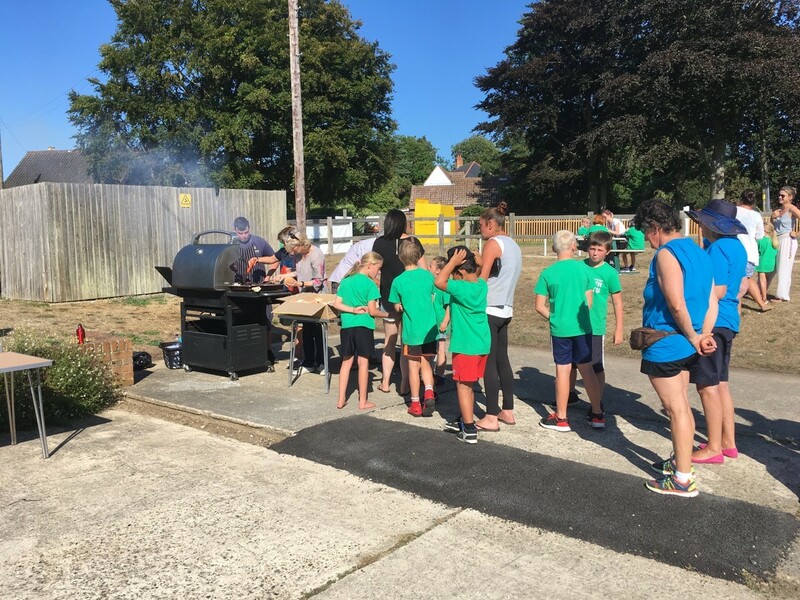 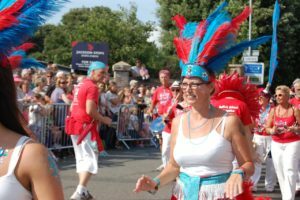 Organiser Mark Fairweather said that collection boxes were still being counted but he hoped the total raised would be more than £3,000, with the proceeds being divided between East Anglia’s Children’s Hospices (EACH) and Medecins Sans Frontieres. 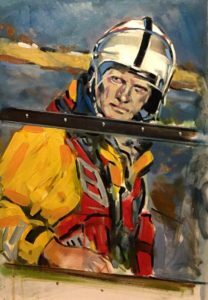 A special donation was also being made to the RNLI in Aldeburgh after a recent break-in which will cost thousands of pounds to repair. 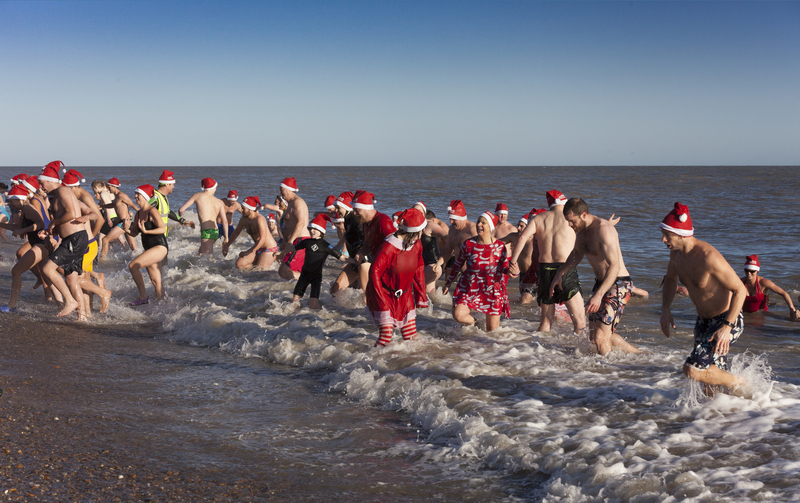 You can still donate by visiting the Just Giving website – www.justgiving.com/fundraising/aldeburghboxingdayswim2017. 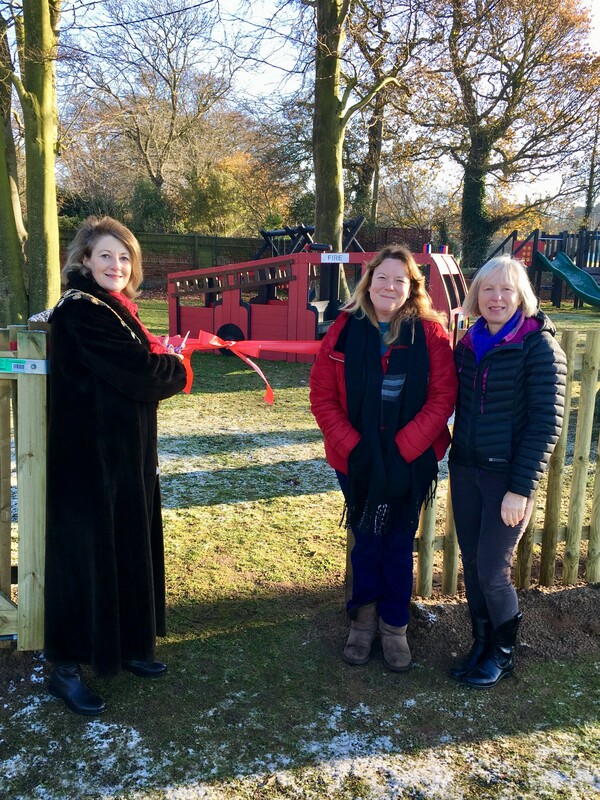 Our new play area at King’s Field was officially opened by the Mayor, Councillor Jocelyn Bond on December 12. 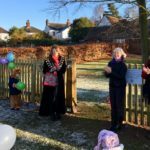 Accompanying her were District Councillor T.J. Haworth-Culf and Aldeburgh Town Councillor Sally Jones, who was responsible for delivering the project. 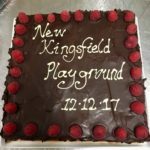 King’s Field has become the sports and recreational hub of the town. It boasts an outdoor gym for older children and adults, a vast grass area for every kind of ball game, a venue for the town’s annual Sports Week, the home of Aldeburgh Rugby Club and the Community Centre and a privately-run fitness provider. 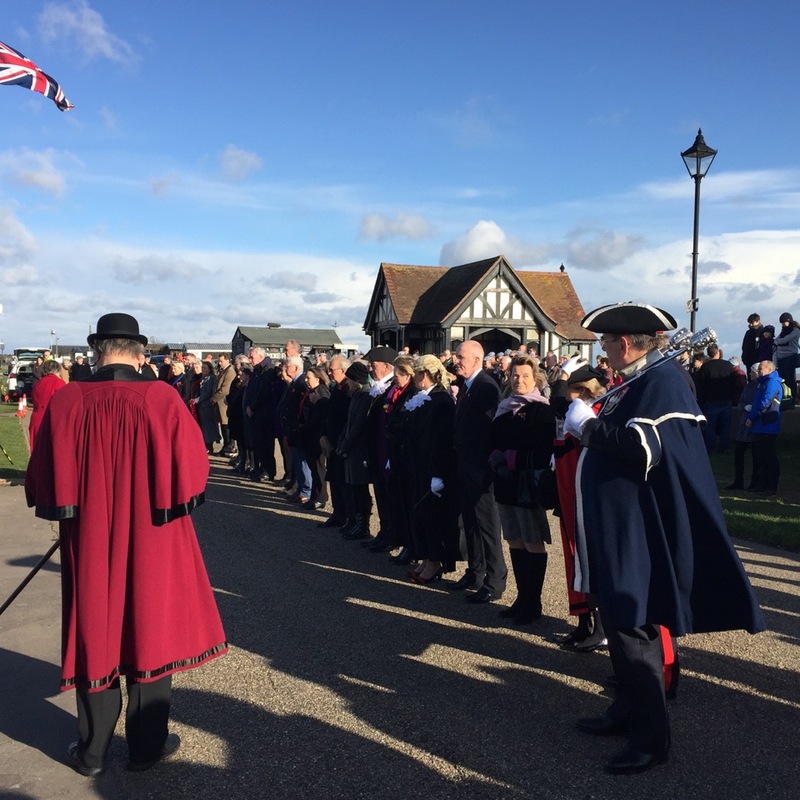 Hundreds of townsfolk, visitors and civic dignitaries were at the War Memorial in Aldeburgh on Sunday morning for the Service of Remembrance. 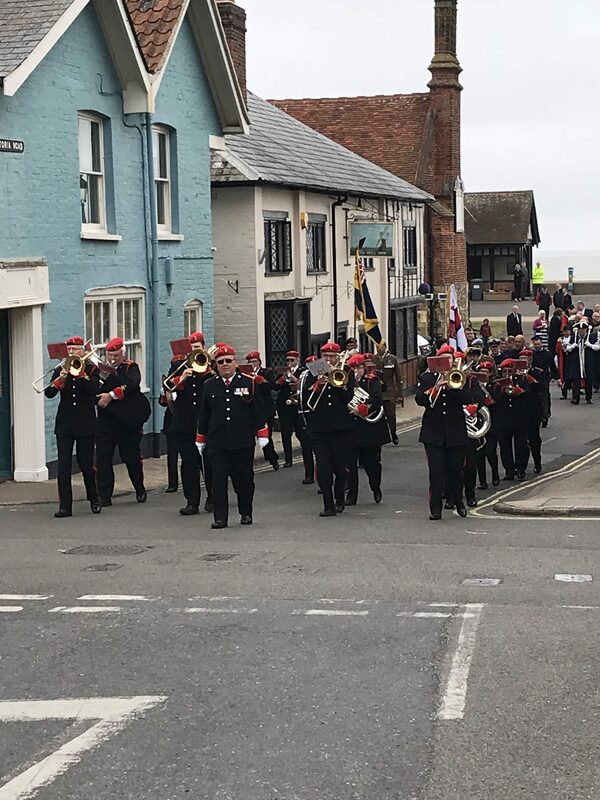 Wreaths were laid by Sir Michael Bunbury KCVO and Deputy Lieutenant, Cllr Jocelyn Bond, Mayor of Aldeburgh, Cllr John Digby, Deputy Mayor of Aldeburgh, Major Nick Pugh, Commanding Officer 653 Squadron, Peter Brown (Royal British Legion), Trevor Hawkins (RAFA), Mrs Vicky and Mr Chris Hunt (families of the Household Cavalry), Lord Deben, Therese Coffey MP, Cllr Nicky Yeo (Vice chair of SCDC), Cllr T.J.Haworth-Culf (SCDC), Steven Saint (Aldeburgh RNLI), Pc Charlie Lewis (Suffolk Constabulary), Mr James Ratcliffe (Aldeburgh Primary School), Tikki Mawson (Commodore, Aldeburgh Yacht Club) and representatives of HM Coastguard, the Fire Service, Aldeburgh Brownies, the Royal and Ancient Order of Buffaloes. 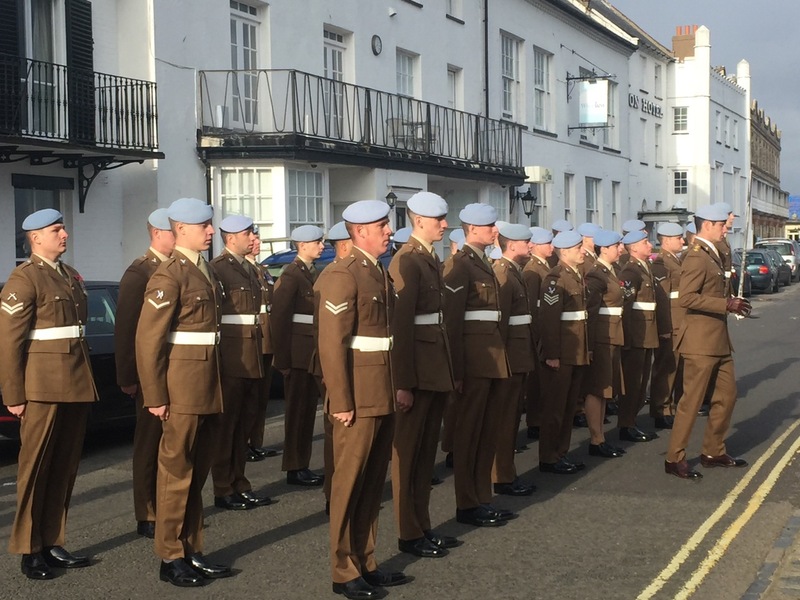 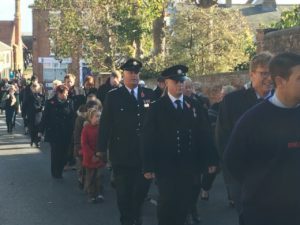 Fifty members of 653 Squadron, led by Commanding Officer Major Nick Pugh, were on parade, together with the Aldeburgh Lifeboat crew, Coastguards, the Fire Service and representatives of many organisations in the town. John Richardson OBE gave the exhortation, followed by prayers led by Rev Mark Lowther of Aldeburgh Parish Church. Bugler Nina Horrocks-Hopayian played the Last Post and maroons were fired to mark the beginning and the end of the two-minute silence. As the crowds bowed their heads in remembrance, an Apache helicopter from 653 Squadron at Wattisham flew overhead in a ceremonial flypast. 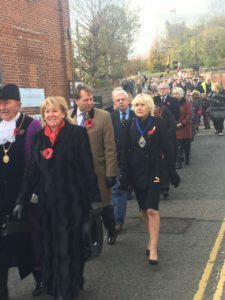 All invited guests and members of the public processed up the hill to the Parish Church, led by 653 Squadron, for the formal Service of Remembrance. 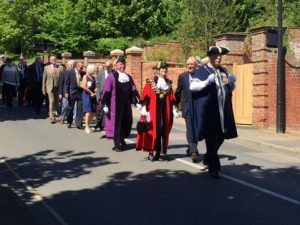 Following the service, all walked back to the Moot Hall where the Mayor, Cllr Jocelyn Bond, welcomed guests for refreshments. 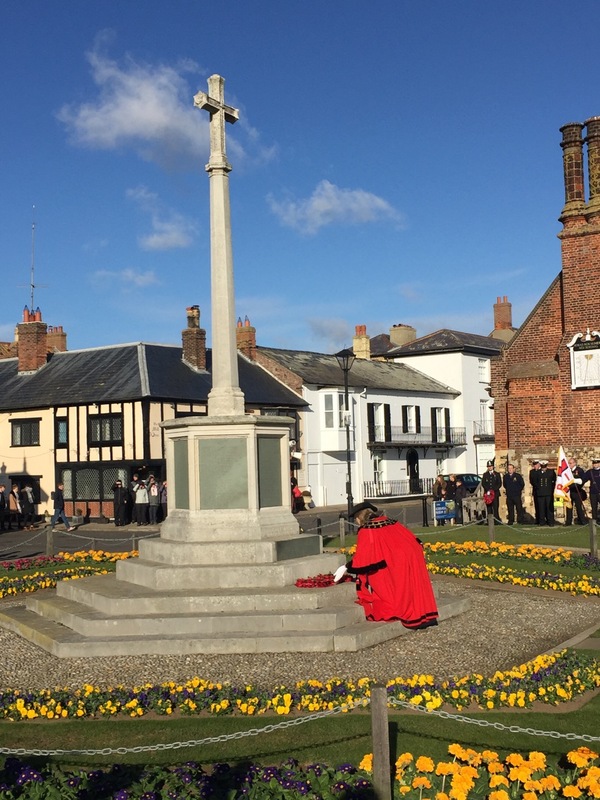 A two-minute silence was observed at 11am on Saturday, Armistice Day, at the War Memorial on Moot Green. 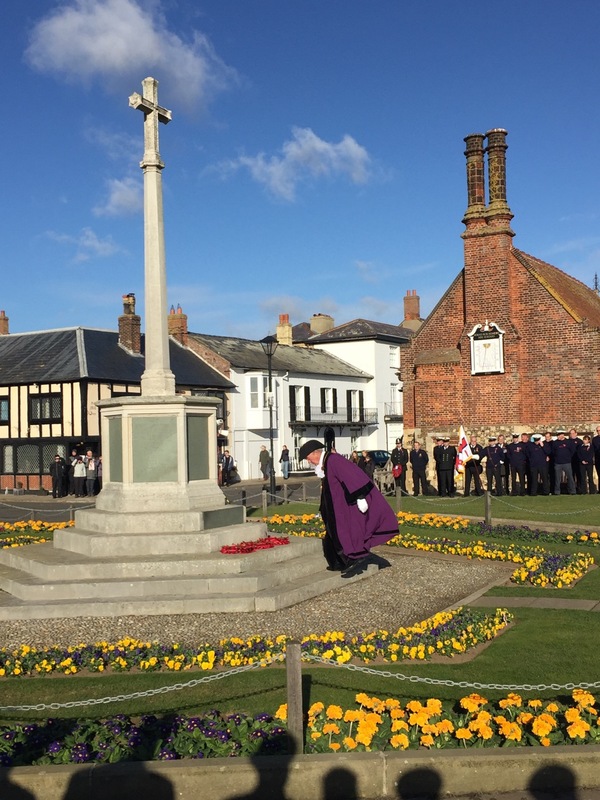 Prayers were said by Rev Mark Lowther, of Aldeburgh Parish Church. 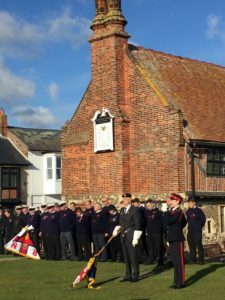 Maroons were fired to start and end the two-minute silence. 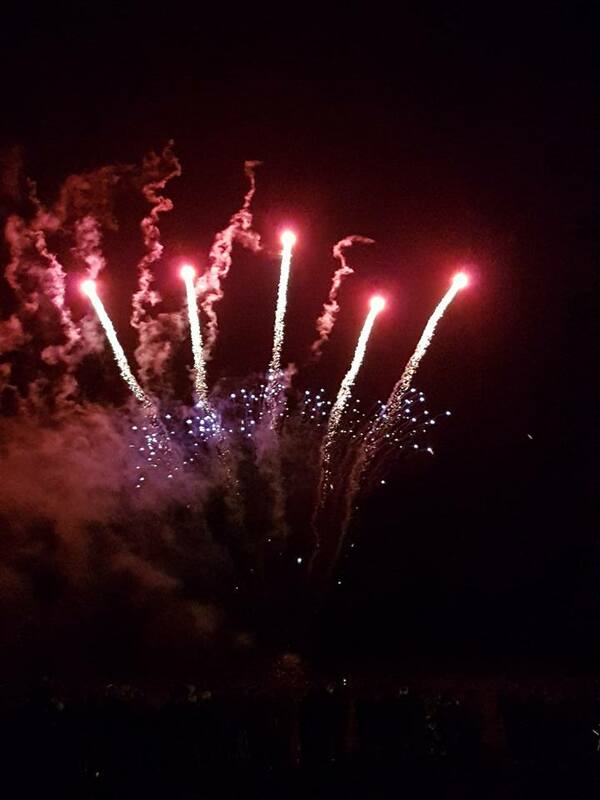 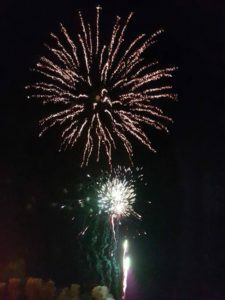 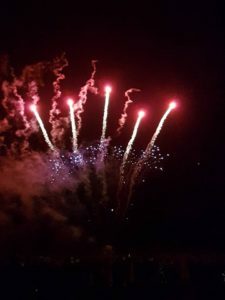 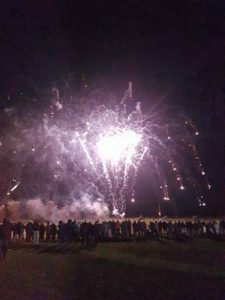 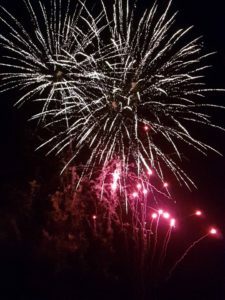 Hundreds of townspeople turned out in force to celebrate the free annual Aldeburgh Town Council Firework display on November 5. On a perfect evening for fireworks and fun families, packed King’s Field to enjoy themselves. Before the bonfire was lit, youngsters queued up for face-painting and glo-sticks, the bouncy castle and our new playground. 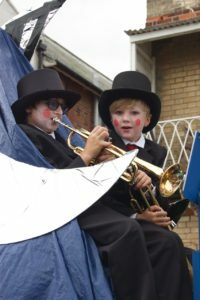 The live band kept the party going while revellers tucked into burgers from the barbecue and fish and chips. Aldeburgh Carnival Queen, Shannon Strowger, led the lantern parade , with Fire Brigade volunteers carrying the Guy to the bonfire. 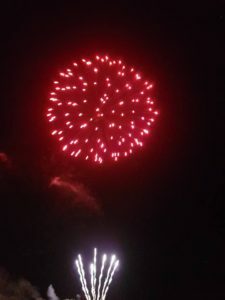 Clouds of smoke filled the air as the bonfire caught light and soon flames were leaping skywards. 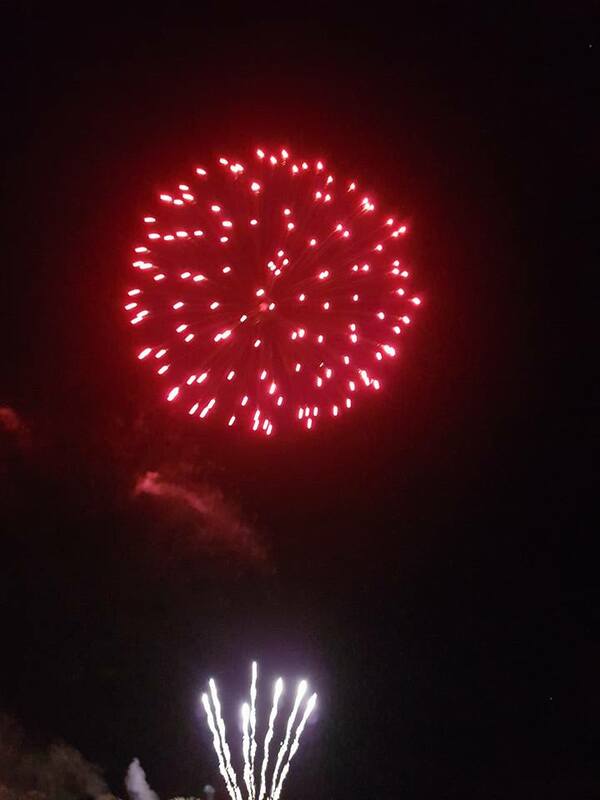 The massive firework display rounded off the evening, lighting up the night sky for miles around. Hundreds of raffle tickets have been sold and prize winners will be announced shortly. 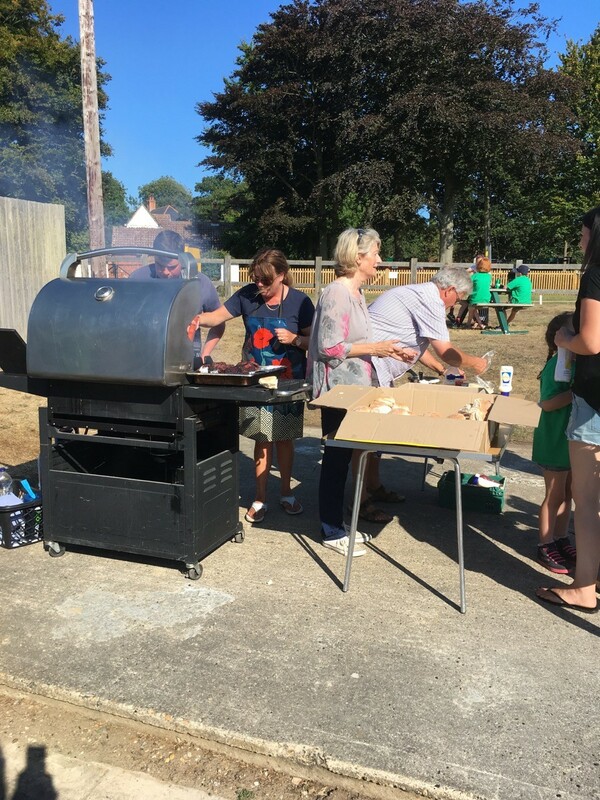 Our thanks go to businesses in the town who donated wonderful raffle prizes and everybody who gave up their time to help on the day. 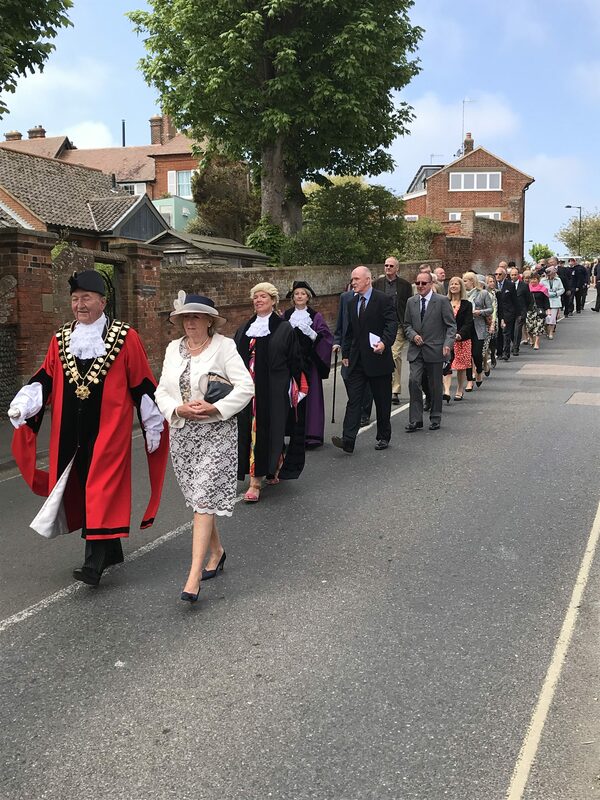 Aldeburgh celebrated the installation of the town’s new Mayor, Councillor Jocelyn Bond, at a Civic Service on Sunday May 21st. 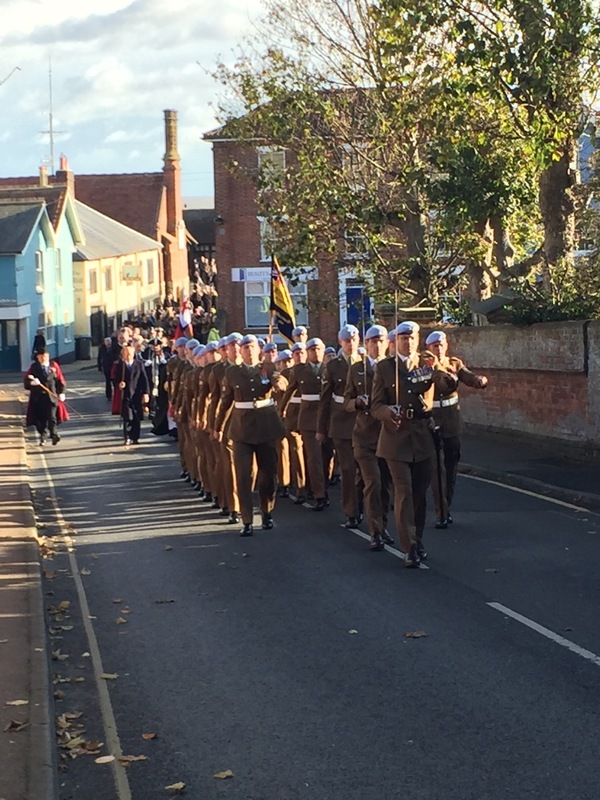 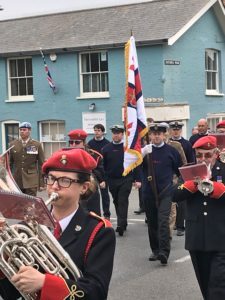 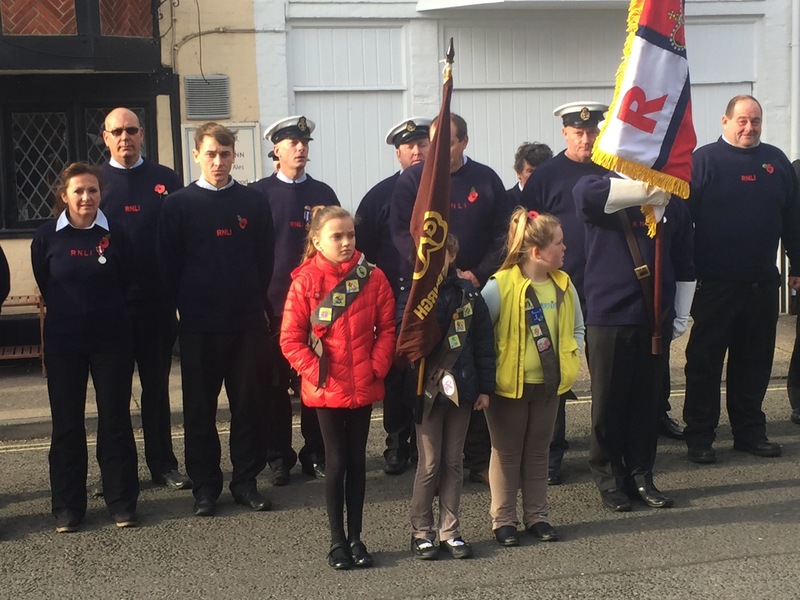 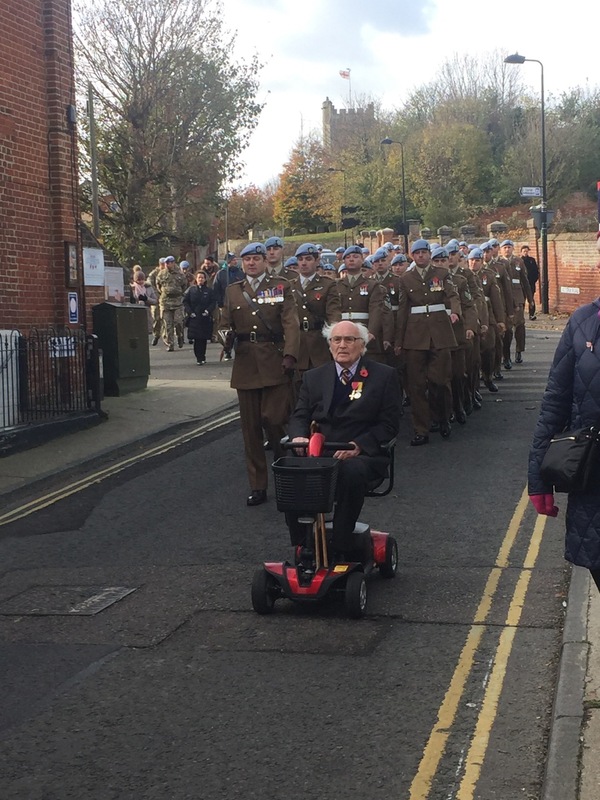 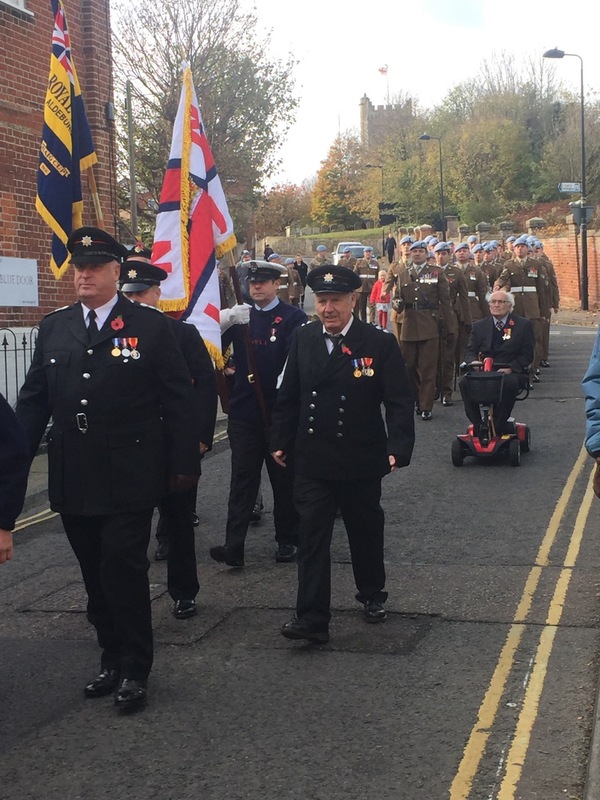 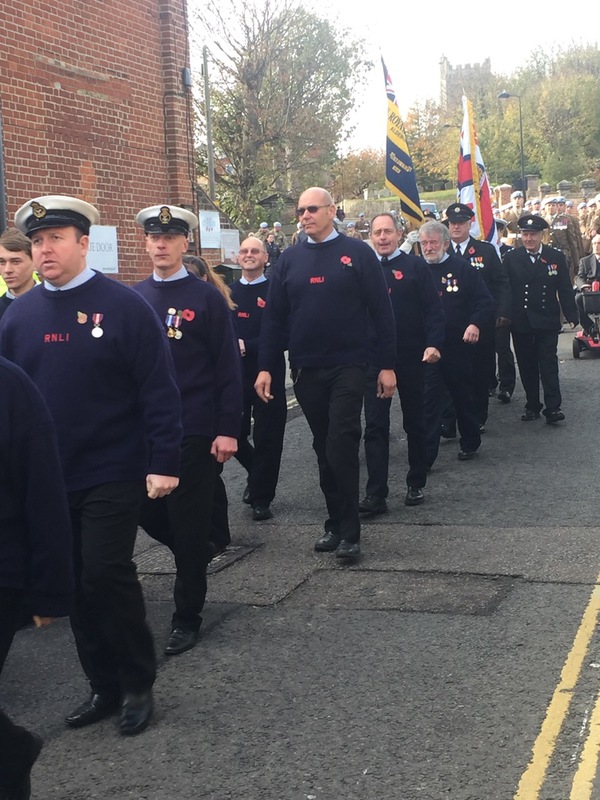 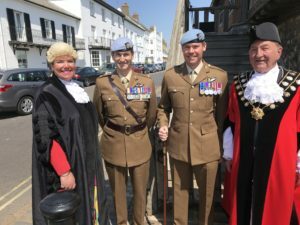 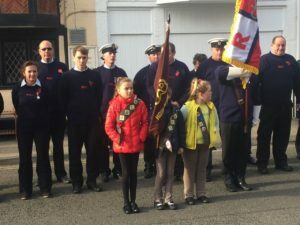 Led by the Leiston Branch of the British Legion Band, Councillor Bond and fellow town councillors joined representatives from a large number of organisations in parading from the Moot Hall to the Parish Church for a Civic Service. 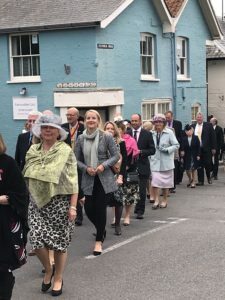 The Reverend Nichola Winter led the service and the Very Reverend Christopher Lewis preached the sermon. 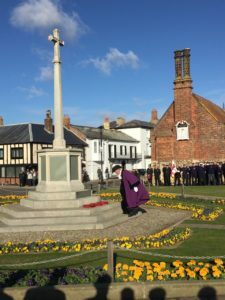 Councillor Julian Worster read from Acts and Councillor Bond read from John. The Mayor’s Parade included the Deputy Mayor of Aldeburgh, Councillor John Digby and town councillors and their wives or partners, representatives from the RNLI, the Coastguards, the Fire Service, 653 Squadron Army Air Corps, the Aldeburgh Carnival Committee, Aldeburgh Brownies, Suffolk County Council, Suffolk Coastal District Council, the Mayor of Woodbridge and a variety of other organisations. 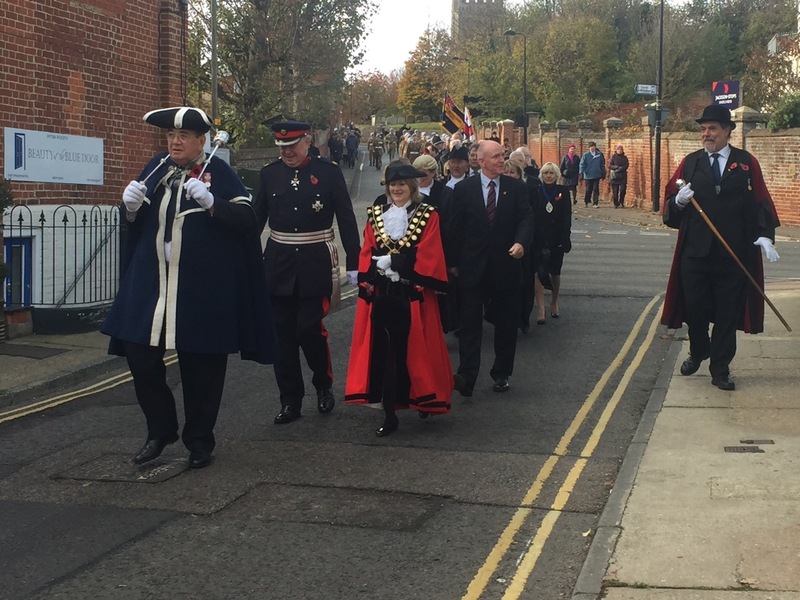 Following the church service, the Parade returned to the Moot Hall where Councillor Bond addressed well-wishers. 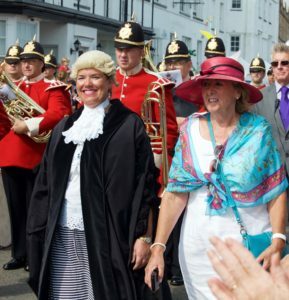 She said it was a great honour to be asked to represent the people of Aldeburgh. 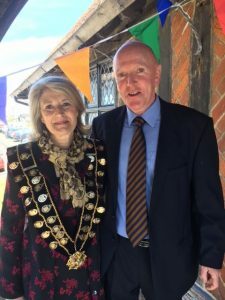 “The first thing I must do is to thank our outgoing mayor, John Digby, with his wife Jenny for all their hard work – there’s not a day I don’t see John out and about, transporting essential things from place to place (Aldeburgh’s Jason Statham!) 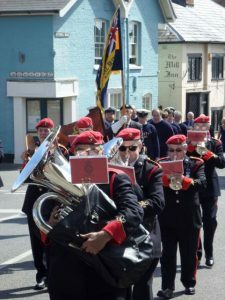 or appearing in the national papers -raising Aldeburgh’s profile by his contact with the great and the good. 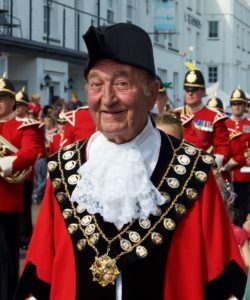 John, your association with luvvies and Royalty this year is going to be impossible to beat. 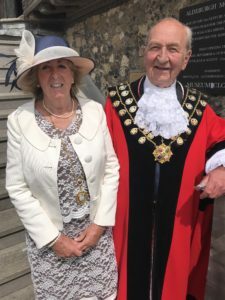 “Councillor Digby has done such an outstanding job, which is why I have asked him to be my deputy so that he can pretty much carry on uninterrupted, with all the things he is so good at. “Nowhere can remain completely static, however charming; it is vital to never stop investigating and embracing the new, but I hope that the Town Council is allowed to continue to do this while protecting what makes the Town so special. 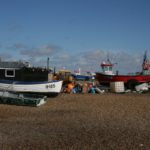 A large part of this is to retain and support the people who make it work – some could say they ‘are’ the Town, and also draw in new people – fresh blood – who bring with them ideas that help contribute to keeping the essential Aldeburgh apparently unchanged. 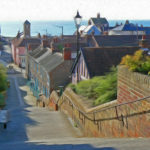 “As most of you are probably aware, Adrian and I chose to move to Aldeburgh with our daughter about 15 years ago. I was immediately charmed by the gentle feel of the place, the kindness of our neighbours, and Rosa has grown up in a town she actually occasionally says is ‘quite cool’. 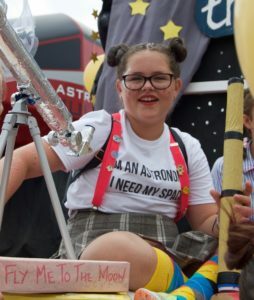 I’m sure you agree, an accolade from a mid teen. 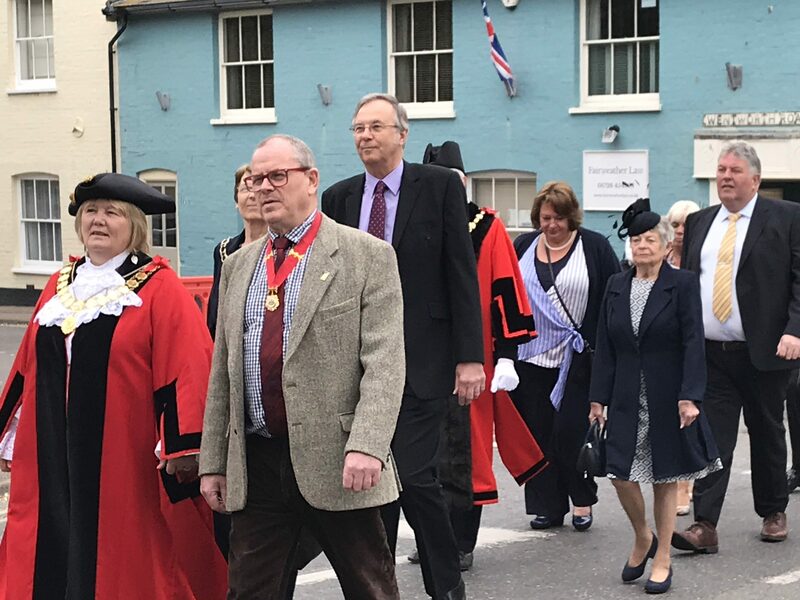 “The Moot Hall’s transformation, alterations to the Suffolk Coastal Local Plan, continuing to action the Town Plan and an almost certain appeal against the Brick Pit application are all going to be challenges of one sort or another for this year. 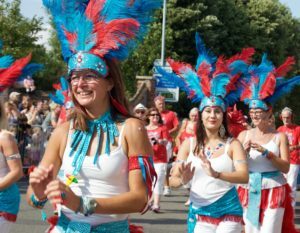 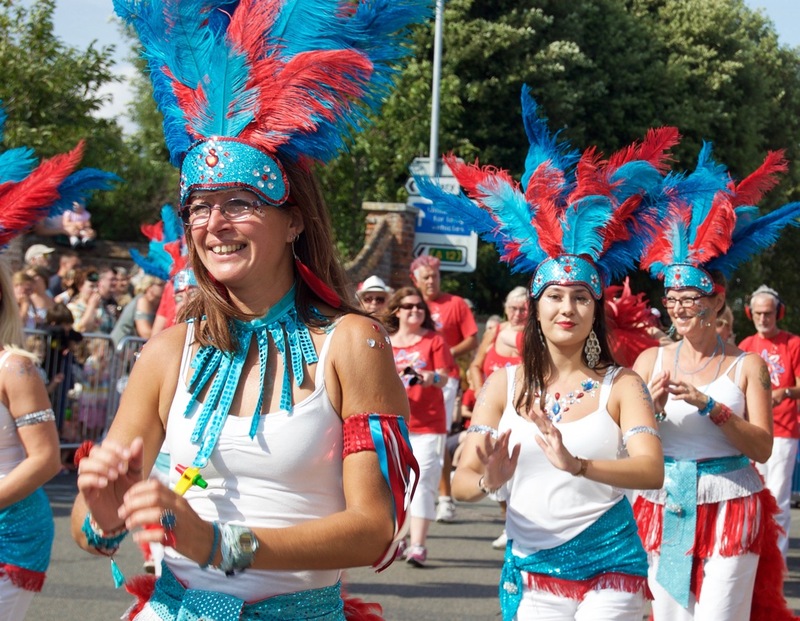 “The 75th Aldeburgh Carnival; celebrations marking the life of Elizabeth Garrett Anderson, the Men’s Cycle Tour, Sports Week, High Tide Festival are among many high points. 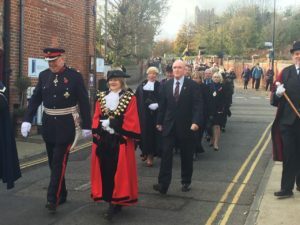 As is the provision of some affordable homes for local people as part of the redevelopment of the old Police Station site, the application for which is now looking close to being concluded, around 29th June. “As a pro-active, united and forward-looking Council, I am sure we all look forward to continue being efficiently and well represented by our two Ward Members, Cllrs Haworth-Culf and Jones, and by our newly elected member for Suffolk County, Russell Rainger, who I am sure will continue the very hard work and close involvement of Richard Smith. 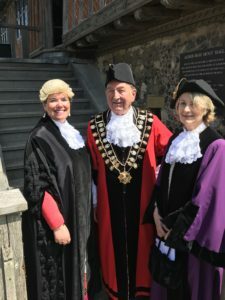 Invited guests then enjoyed a reception at the Moot Hall. 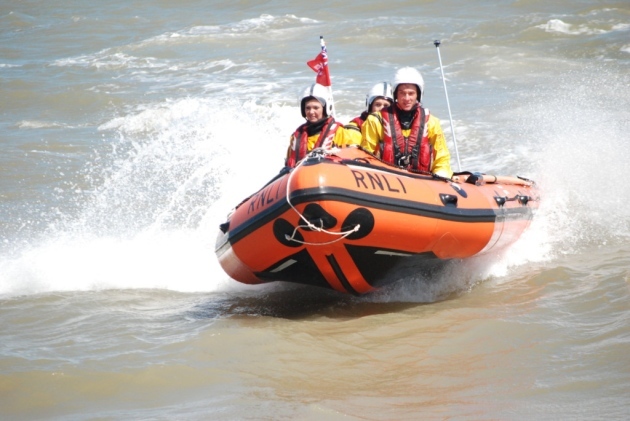 Aldeburgh Royal National Lifeboat Institute hosted an official naming ceremony on Saturday June 10th for its new inshore boat, the Susan Scott. 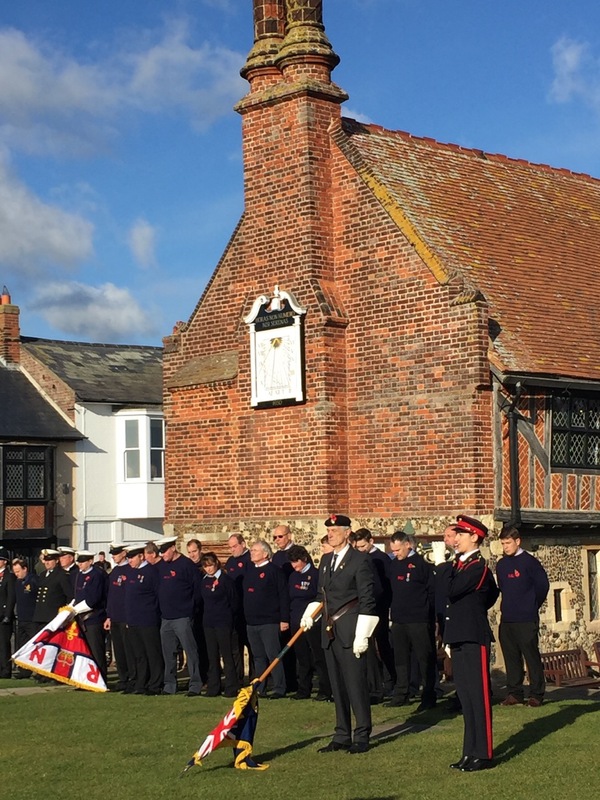 Sue Scott, a generous patron of the RNLI, attended the official naming ceremony of the boat, which was blessed by the Rev Mark Lowther, priest in charge of Aldeburgh Parish Church. 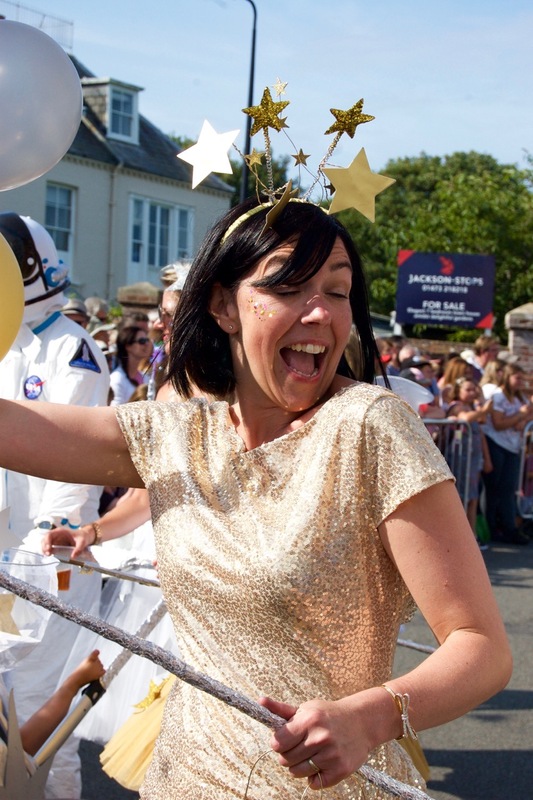 Dozens of townspeople turned up to watch as Sue gave the boat a Good Luck shower of bubbly. Aldeburgh Town Council is pleased to report on two substantial grants to improve sporting and cultural activities in the town. 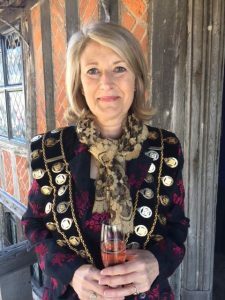 The Heritage Lottery Fund has awarded a grant of £77,000 to Aldeburgh Museum who will work in partnership with the Town Council to redevelop the 16th century building and museum. Project leaders will start work on the plan to massively improve the museum before applying for a full grant of around £800,000. 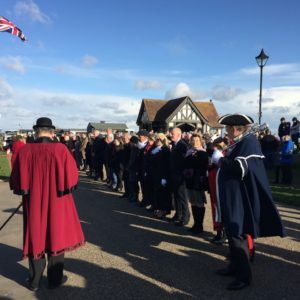 The Moot Hall is the home of Aldeburgh Town Council and is one of Britain’s oldest buildings to be used continuously for local government. The Mayor of Aldeburgh, Councillor John Digby, said the town council was delighted to be working with the Museum Trustees on a project that would better showcase the building, it’s artefacts and the town’s history. 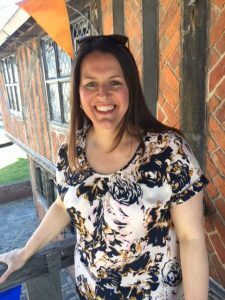 The Museum trustees hope to use digital technology and virtual reality displays to overcome a shortage of space. 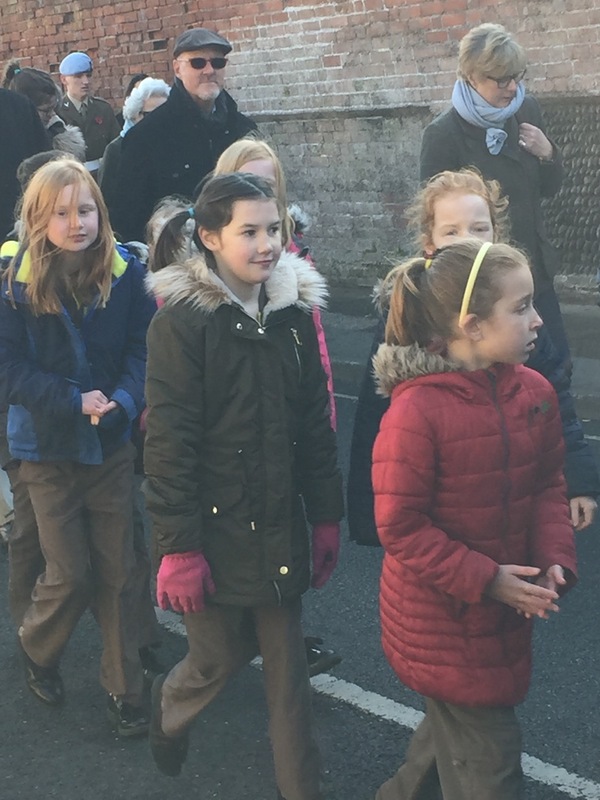 For more information about the redevelopment project, click here. 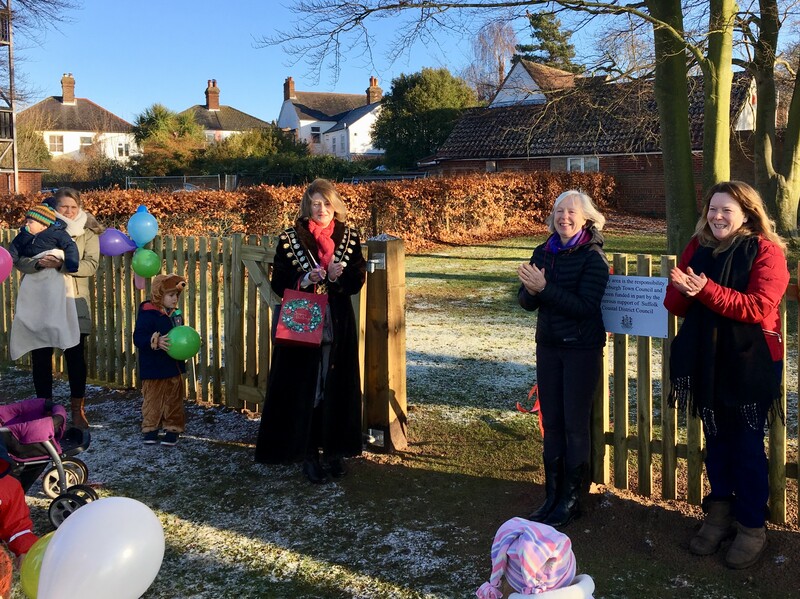 The work, which will start in the summer, will involve digging up a substantial section of King’s Field, installing a network of drains and then re-laying the entire surface. 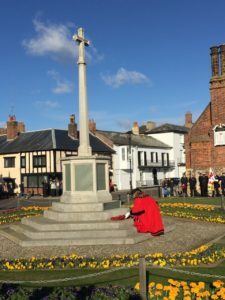 The field will be out of action for some considerable time.  Aldeburgh’s Visitor Information Centre is based in the Aldeburgh Cinema foyer. 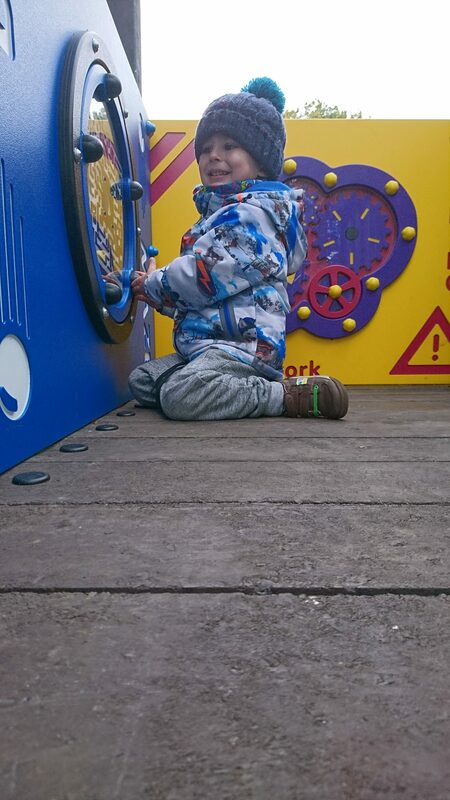 The cinema is open between 10am and 5pm or 6pm (depending on the time of the year). The service features an interactive terminal for visitors to use to access key tourist information websites. 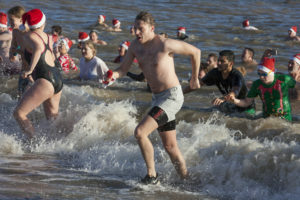 Cinema staff and volunteers are on hand to help. 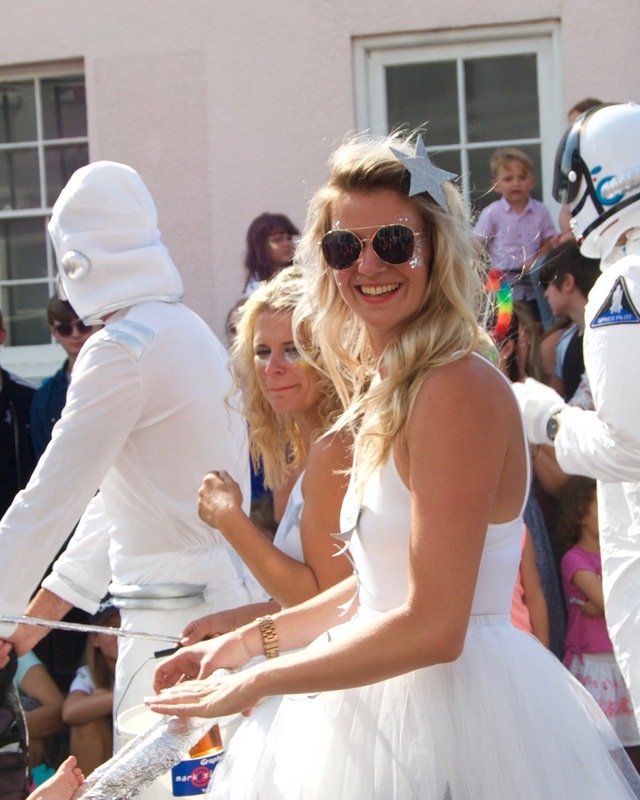 Screen Suffolk are offering a one-stop film service for movie makers. 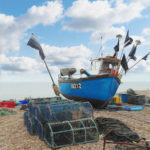 They promote Suffolk’s film service infrastructure, creative talents and stunning landscape. 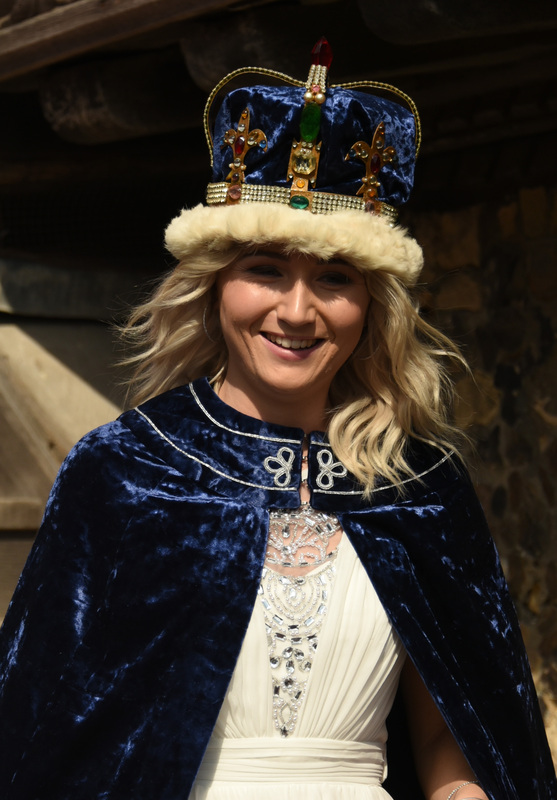 Their service includes location fixing, obtaining permission to film from relevant authorities, providing crew and actors. Full details from info@screensuffolk.com.